Mangrove is a heavy and powerful classic rock trio with their roots in the late 60:s and the early 70:s hard rock and psychedelic scene. Groovy jams and heavy chords is one of Mangrove`s trademarks. Mangrove was born in the late fall of 2006 in Stockholm (Sweden) after many late night jams and rehearsals. The first album "Endless Skies" was released in May 2009 on Transubstans Records, with lots of awesome reviews in both Music Magazines and Web Fanzines as a result. 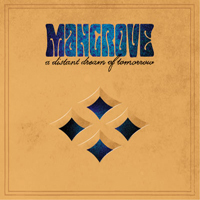 In November 2010 Mangrove releases their second album "A Distant Dream Of Tomorrow" on Transubstans Records. The album contains ten songs which are energetic, powerful and dynamic. The feeling is that the band has reached a new level. Mangrove has a lot of different influences, but as a listener you can not be mistaken if you can hear some similarity with bands like Black Sabbath, Rush, Led Zeppelin and The Who among others.